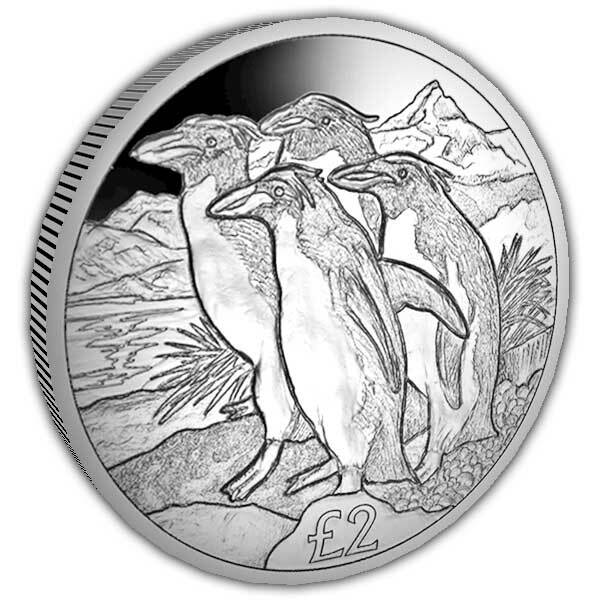 Penguins are the Antarctic's most well known bird species and are considered to be the regions emblem. Penguins often live in vast colonies of mostly breeding pairs. It is estimated that penguin colonies number around 20 million, outnumbering the populations of many of our capital cities. 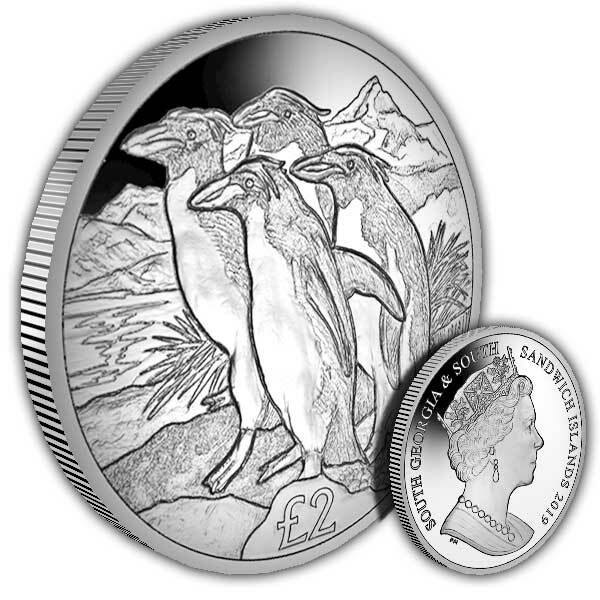 The design features four Macaroni penguins on a rocky and snowy outcrop with mountains in the background. The Macaroni Penguin can be found around the South Georgia and the South Sandwich Islands ranging from the Sub-Antarctic to the Antarctic Peninsula. Although the Macaroni Penguin is flourishing in some areas, they have seen a drastic decrease in numbers around the South Georgia region and has been listed on the IUCN Red List of Threatened Species. The Macaroni Penguin was named after a hairstyle seen in the 18th century and are easily recognised by their golden crests. During the mating season, the Macaroni Penguin is known for being very vocal when defending its territory and is most closely related to and often mistaken for the Royal Penguin. This coin is available Unc. 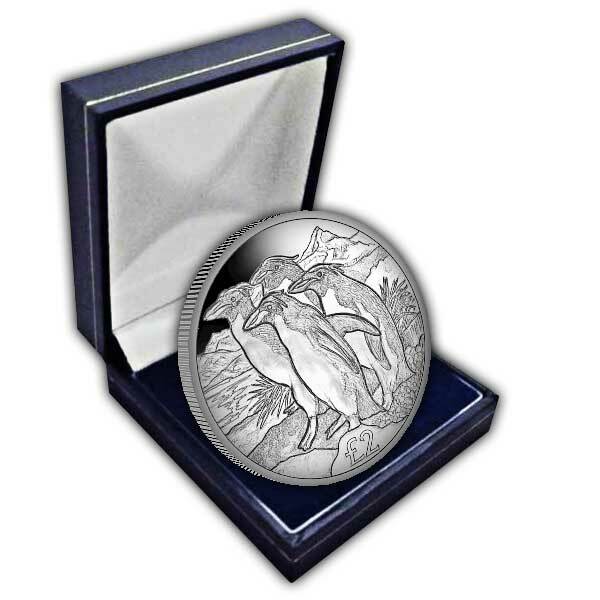 Cupro Nickel, with or without a plush blue presentation box.